AmeraCat has a different way of doing things! 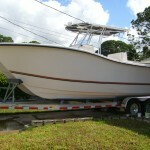 All of our boats are built with NO WOOD! Wood likes to rot and fills up with water, not to mention it is much heavier then the high density foam and solid core construction. 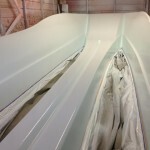 Spray and Gel Coat in the mold. 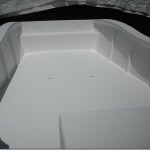 Put 1 1/2 oz skin coat Fiberglass. 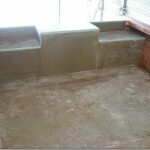 Hand laid stitch mat fiberglass laminate. 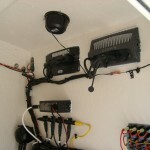 Built out interior (custom boxes, live well, etc). Prep and gel coat interior. Remove from the mold and place on trailer. Trim Flange and install console. 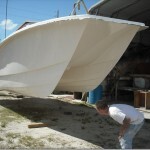 Our catamaran boat building process has proven to be a success. 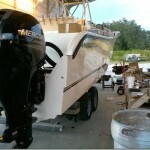 We have found a way to deliver a center console fishing catamaran like no other and we are positive that as soon as you step foot on an AmeraCat power cat you will instantly fall in love. 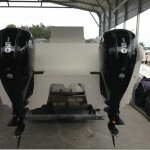 Here are some pictures from start to finish of our 27′ Gen2 catamaran in production. To enlarge any picture just click the image. Storage boxes being put in place. 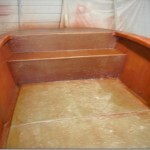 Here is the Boat in the mold after the deck was put on. 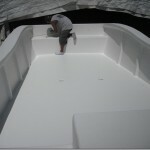 A shot of the boat after it just got sprayed with the gel coat. 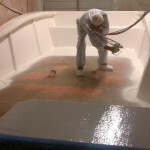 Here is the deck Being sprayed with a Gel Coat. 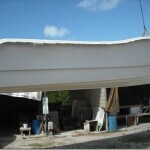 Here is the crane removing the hull from the mold. 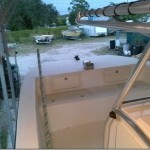 Here is another shot of the power cat being removed from the mold, ready for center console now. 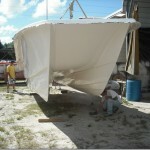 Here is the catamaran being pulled from the mold. 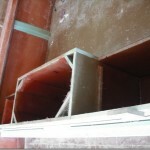 Here You can see the Live Well and Fish Box. Just put on the suzuki outboards. 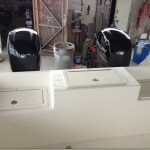 Here You can see the outboards after they are installed. 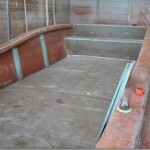 Here is the stern of the boat, all ready for the sea trial now. 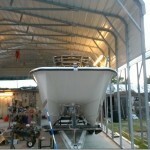 Here is the boat almost completed. 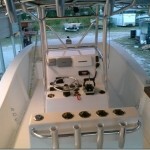 Here is the center console with controls and electronics being installed. 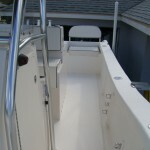 Here is the bow of the boat, with anchor storage. 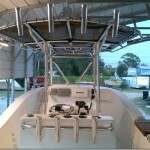 T top with additional rod holders. 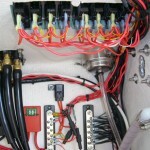 Here you can see the electronic rigging. 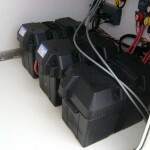 Here you can see the battery installation. 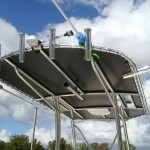 Part of the rigging process. Almost finished, final touches. 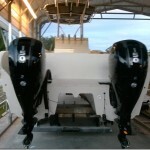 Ready for Sea Trial. Final Product. 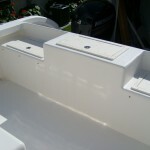 Here you can see the amount of room to walk around this center console catamaran. 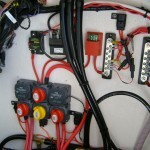 Completed Power Catamaran. 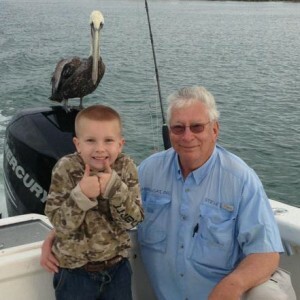 Ready for offshore fishing!